According to popular legend, Manali is the abode of Manu or the law maker of Mankind. However, the documented history marks the beginning of modern day Manali with the coming of the British colonizers. 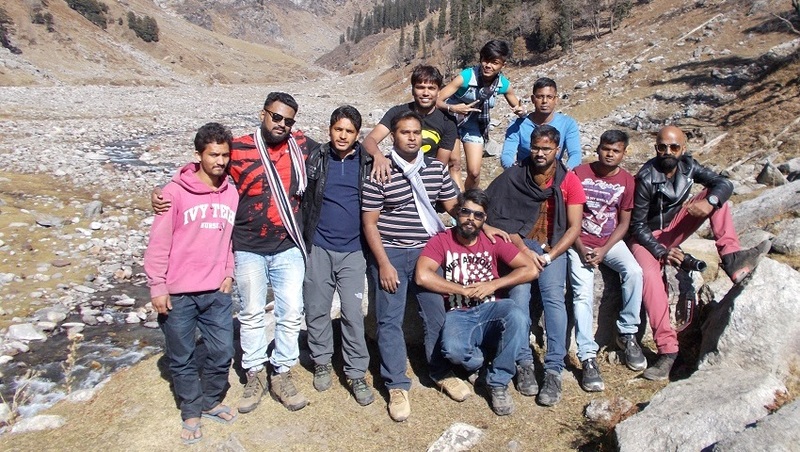 The enchanting beauty of Manali and the cool climate captured the heart of the British who stayed in Manali particularly in the summer months. 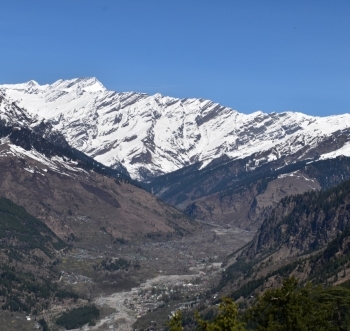 The popular town of Manali is cocooned in a complex and variable topography. The gorgeous beauty of the Himalayas needs no introduction. The rolling verdant valleys, the forested hill sides, the sparkling streams serve unending charm and have attracted tourists time and again to this beautiful land. The Sutlez River and the Beas River criss cross through the grassy meadows and the rocky terrain. Manali also offers access to the Kinnaur, Lahaul, Spiti regions of Himachal Pradesh and the Leh and Zanskar regions of Jammu and Kashmir. 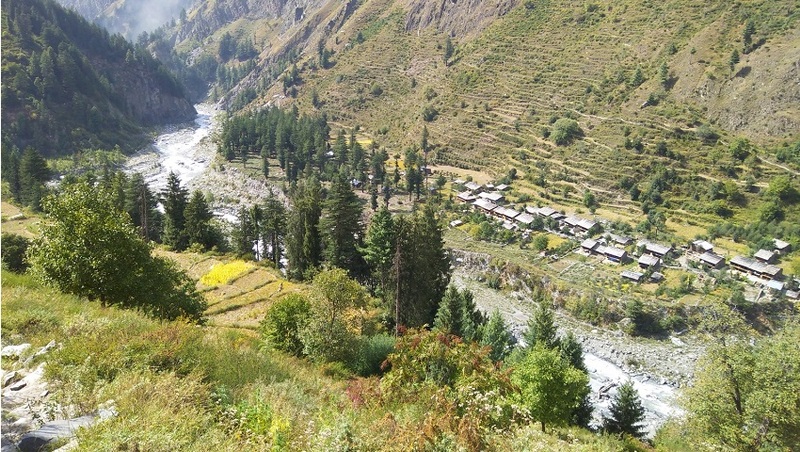 The name Kullu derives from the word &;Kulant Peeth&amp; meaning &end of the habitable world. 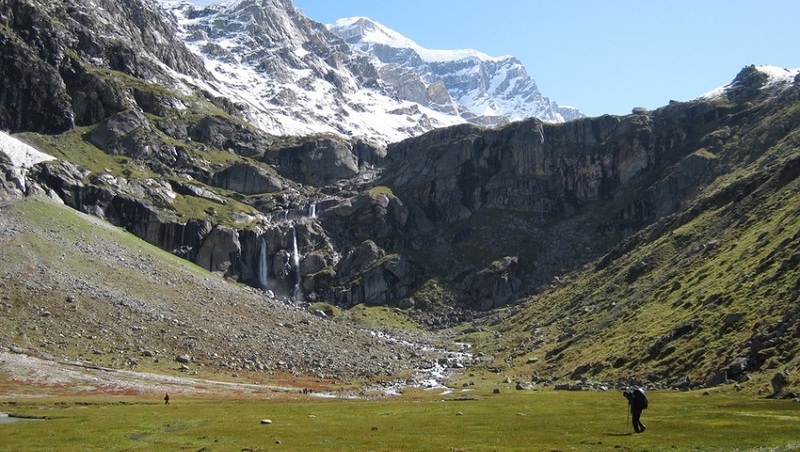 As per legends, during the Great Flood, Manu visited this valley, but was unable to cross the Rohtang pass. He named the last settlement he found as Kulant Peeth, and chose to settle and meditate in what has now become the town of Manali (Manu& Place). The name further devolved into ;Kulut, as the kingdom was known for a long time before finally being known by the current name of Kullu or Kulu. The Buddhist pilgrim monk Xuanzang visited the Kullu Valley in 634 or 635 CE. He described it as a fertile region completely surrounded by mountains, about 3,000 li in circuit, with a capital 14 or 15 li in circumference. It contained a Stupa built by Mauryan Emperor Ashoka, which is said to mark the place where the Buddha preached to the local people and made conversions, Stupa was taken away by a Mughal ruler and put in feroz shah kotla maidan in Delhi. There were some twenty Buddhist monasteries, with about 1,000 monks, most of whom were Mahayanist. There were also some fifteen Hindu temples, and people of both faiths lived mixed together. The egalitarian society of Kinnaur community believe in equal division of labor between the sexes. Gujjar is another important tribe of the region who are commonly referred to as the wandering tribe of the region.Blessed with a rich traditional art and craft from the ancient times, Manali is famous for the indigenous folk songs and dance of the region. Accompanied with the enchanting melodious folk songs, the dancers perform their art with perfection and great enthusiasm. The indigenous tribal population of Manali prefer to wear the traditional attire. Usually spun out of wool, the colorful and attractive apparels reflect the culture of the local people of the area.Manali people, culture and festivals display the varied yet enriched socio-cultural life style of the local tribal population. Nestled in the Himalayas, Kullu is a valley gifted with nature&amp;#039;s charm and scenic beauty. Splashing rivers, water streams and lofty mountains with the finest of slopes make it a place perfect for adventure sports. It has numerous temples and is, therefore, called the &amp;quot;Valley of Gods&amp;quot;. Celebration of Dussehra is in itself a prime attraction of the valley drawing many tourists every year. One of the prime tourist attractions of Kullu is the Raghunath Temple which is dedicated to Lord Ram, one of the most important deities of Hinduism. This temple was constructed by Raja Jagat Singh in the year 1660 to seek pardon for his sins. The king got an idol of Lord Ram from Ayodhya and placed it in this temple. Another popular hill destination, the beautiful Manali is often visited along with Kullu. It has a lot to offer tourists. Here are a few places of interest in Manali. Also known as the Dhundri temple, this temple is made out of wood and stone. Constructed in 1553, the Hadimba Temple was built in honour of Goddess Hadimba, the wife of Bhim, from Mahabharata epic. The walls of the temple are covered with wood carvings and on the month of May each year, animal sacrifices are carried out here for the three-day Dhungri Mela. Located at an altitude of 1,640 metres above sea level, Kasol is known for its scenic beauty. It has wide open clearings sloping down to wide expanses of clear white sands at the Parvati River. Located at a distance of 45 km from Kullu, Manikaran is famous for its hot springs and is also an important religious destination for Hindus and Sikhs. The hot water springs here are so hot that the heat from the water is used to cook food. 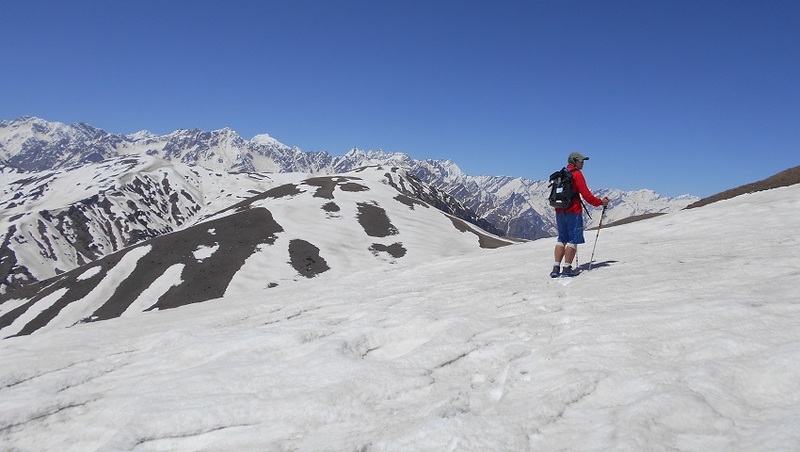 Hamta Pass trek is most beautiful trek around Manali and can be done by anyone reasonably fit. 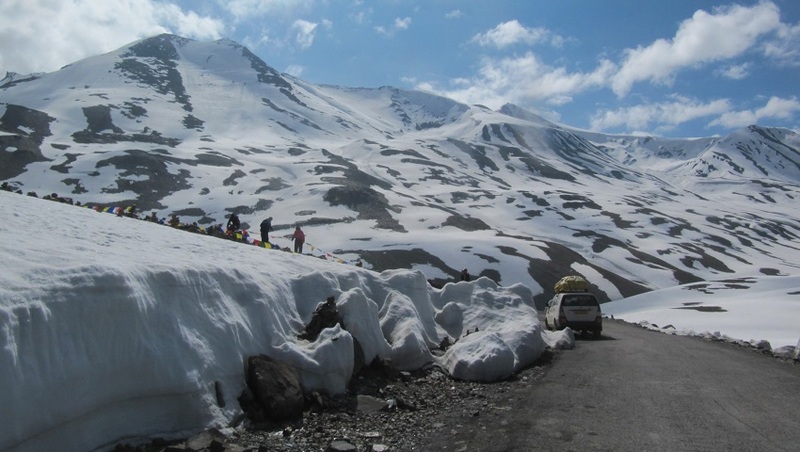 Hamta pass lies on beautiful Pir Panjal range and is small corridor between Lahaul and Kullu valley of Himachal Pradesh. Hamta village is located below Sethan village and from where it got its name. This pass is frequently used by Sheperds of lesser Himalayan region. Seeking for high altitude grassland in the dry cold desert of Lahaul during summer time. Numbers of wild flowers, varieties of herbs can be found at the altitude between 3000 to 3800m. Setting off from Manali we drive to Sethan village 2700m and continue to Panduropa - Jobri. Our starting point of trek. Setting off from Jobri first we cross the ford on Jobri nallah originating from Deo Tibba massif. 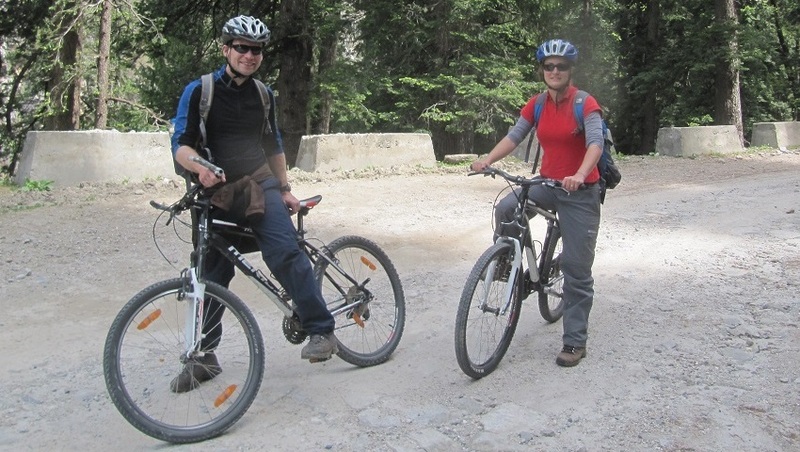 The route from Chikka to Jobri passes through forest of Deodar, Oak, walnut and Birch tree. Gradual climb to Jwara and Balu ka gera. Balu ka gera is better known for Bear's den or Bear's circle. Can see only during May end to mid June. Final ascent leads through boulder and scree to the pass. Spectacular view of Indrasan 6221m and Deo Tibba 6001m only can have on clear sky. Crossing river near Shea goru camp we descend to river bed and follow the left bank of Chandra River to Chatru. Further 45 km on dirt road, driving up to Kunzom La pass (4551m) having a view of Spiti valley, 8 kms trek down in large meadows, lake of moon approached. It is 4 hrs drive back to Manali crossing Rohtang pass. With magnificent view of Manali and Solang valley while descending to Kothi. 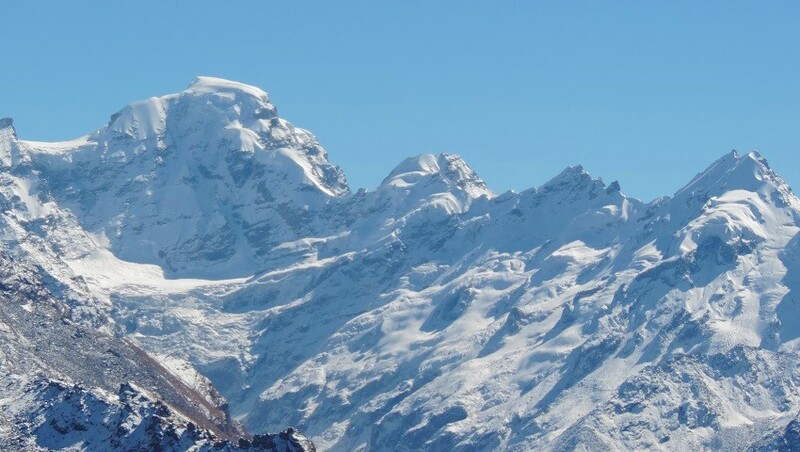 Located on Pir Panjal range and the extreme west of Manali, this Saurkundi pass 3950m and Khanpari lies at an altitude of 4025m, is one of the best and perfect spot to view Beas River valley at once. To the West lies Kalihani pass at an altitude of 4830m Connecting remote Bara Bangahal village of Kangra district. During summer to late Automn this area is mainly inhabited by Shepherds and this pass is frequently used by them to go rain shadow of high grassland. 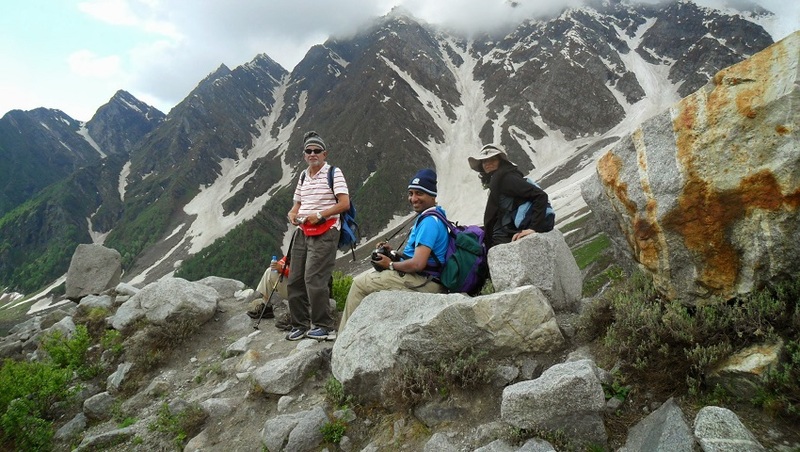 Apart from Sheperds route this area has one of the best trekking route in Manali region. Spectacular view of Great Himalayan Range and snow clad peak rising above 6000m i.e. 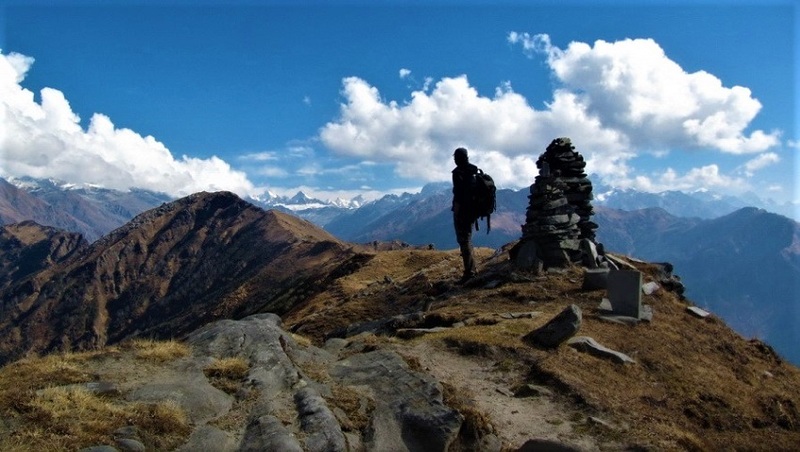 Indrasan 6220m, Deo Tibba 6001m to the East and Maker Beh 6068m, Shikar Beh 6200m to the North and looking down the beautiful Kullu valley are main characteristics of this trek. Setting off from near Hadimba we climb gently through thick forest of Cedar and Oak. Climbing up through the Manalsu River valley the gentle slopes and lush green meadows of Lamadug appears. 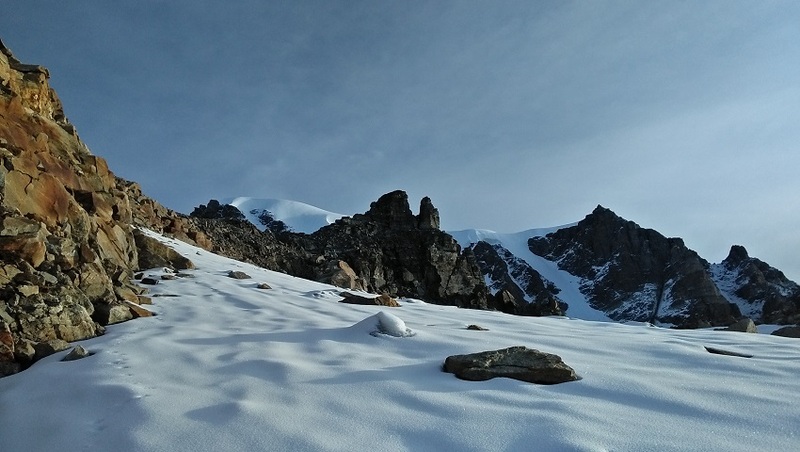 Later trek beneathe the ridge of Khanpari Tibba (4,025m) we arrive at a place from where Indrasan (6,220m.) And Deo Tibba (6,001m.) peaks can be seen. One can see the full view of Manali town and upper Kullu valley. Continue going upward through brilliant shrubs of Rhododendro, Birch pave on the way and wild flowers all around. Arriving at dome of Khanpari to have spectacular 360 degree view of Great Himalayan Range to the East, Dhauladhar to the West and Pir Panjal to the North. Keep your attention towards wildlife to see Monal, Fox and Bear. Located at a distance of 45 km from Kullu, Manikaran is famous for its hot springs and is also an important religious destination for Hindus and Sikhs. The hot water springs here are so hot that the heat from the water is used to cook food. This small town attracts tourists visiting Manali and Kullu to its hot springs and pilgrim centres. An experimental geothermal energy plant has also been set up here.Manikaran is a pilgrimage centre for Hindus and Sikhs. The Hindus believe that Manu recreated human life in Manikaran after the flood, making it a sacred area. It has many temples and a gurudwara. There are temples of the Hindu deities Rama, Krishna, and Vishnu.The area is well known for its hot springs and its beautiful landscape. The villages have their own gods and goddesses. It is said that in olden days, the King (or the Raja) used to sit in the Dhalpur ground with his courtiers under the Pipal Tree to look at the traditional dances. Earlier 16 Gods used to participate in the fair, but as the years rolled by, the fair lost its grandeur. Every night during the festival, cultural programs are performed by the various cultural groups at Kala Kendra which is a big open-air theater. The cultural groups and reputed artists come from all over India to perform in the festival. Dussehra (Dushehra) is celebrated in most parts of the country on Vijya Dashmi(Dushehra) to commemorate the victory of Rama over demon king Ravana. The highlight of this fair is The victory of good over evil. Kullu Dussehra (Dushehra) is however, different in certain ways from Dussehra celebrations in the other parts of the country. It presents cultural ethos of the people and their deep rooted religious beliefs which manifest during this festival with traditional songs, dances and colorful dress. It begins on Vijya Dashmi and lasts for a week. There is an interesting story behind the beginning of Dussehra Festival. And now also, the internationally famous Dussehra (Dushehra) of Kullu is celebrated in the same tradition. 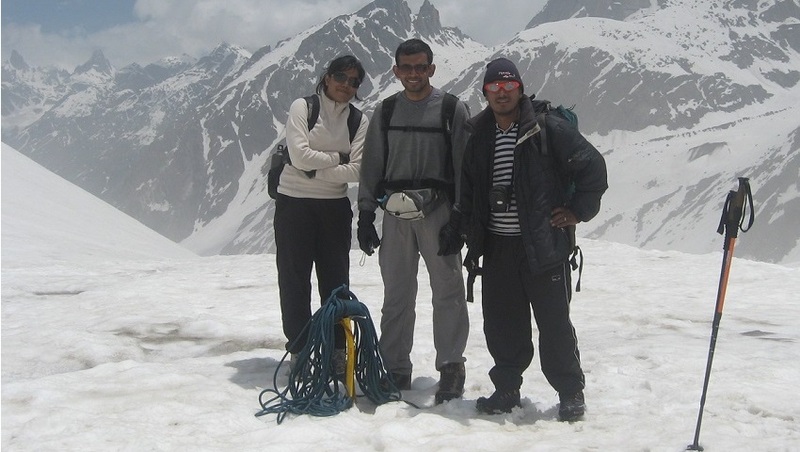 Manali is an adventure lover’s paradise, and is a great base camp for treks. 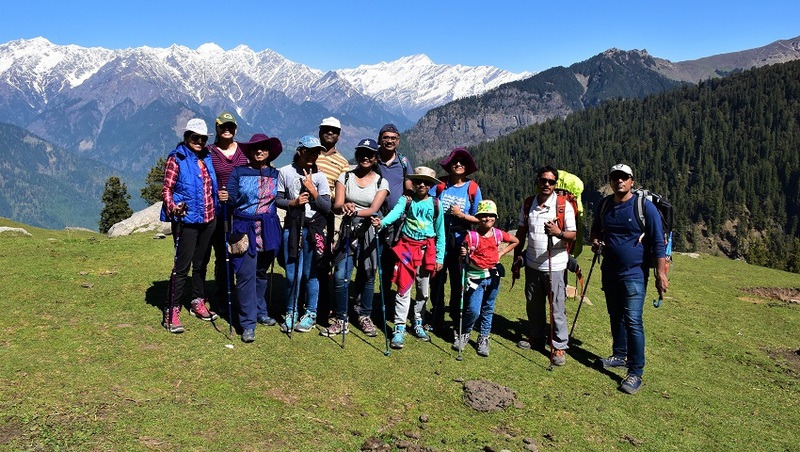 With many trails for all kindsof trekkers ranging from mild to extreme, the Himalayas in Manali offer something for everyone.Trekking in Manali is a great way to explore the Himalayas as well as to experience the rich culture of Himachal Pradesh. Along with awesome treks you can also find some of the best camping locations in Manali. Here we bring you some of the best treks in Manali so that you can unwind and find your rhythm in these majestic mountains. 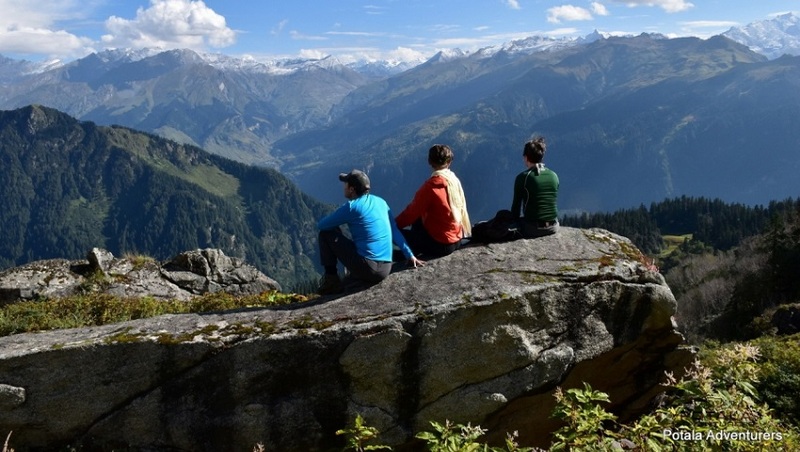 Numerous Trekking Routes are accessible in Manali. 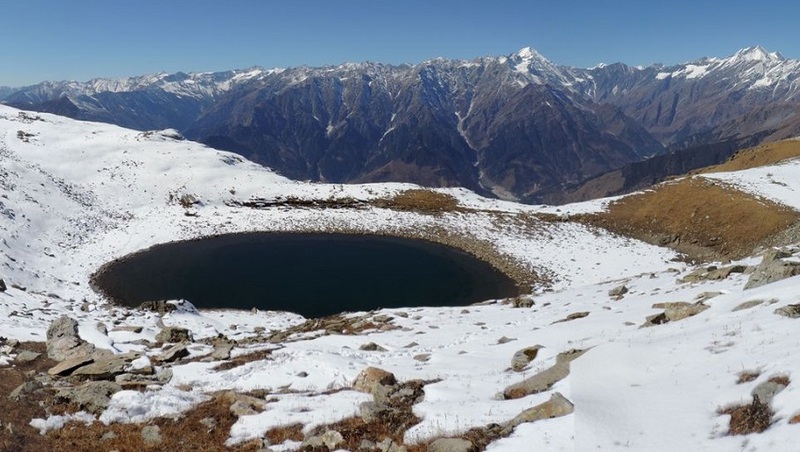 Significant treks in manali are Beas Kund Trek, Bhrigu Lake Trek, Chandrakhani Trek, Chandra Taal Trek and some more. 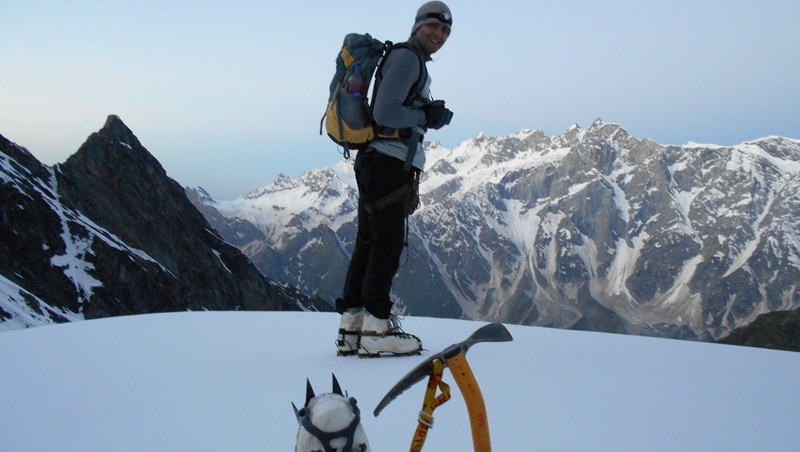 The check rundown of the types of gear required for trekking in manali incorporates of Comfortable strolling shoes with a decent hold on the lower legs. Water verification warm jacket.Woolen/tennis scocks and leggings. Manali has always been a hotshot travel destination for everyone, all through the year in the north of India. Skiing, paragliding, snowboarding, snow surfing, and ice skating have been the primary attractions of Manali. However, only a few know that Manali also possesses some of the best rafting stretches. And trust us they are among the best in the mountains of India. If you are looking for the excitement of pure downhill, day after day through ever changing scenery, the Manali to Leh traverse is hard to beat. Riders will have the option of ascending a total of 3800 meters to cross the four main passes on the route. Cycling will truly be an unforgettable experience as one will get to witness some of the most spectacular scenery in the world. This may not sound particularly great, especially to road orientated cyclists, but difficult terrain and tough ascents will make any cycling in this region a challenge for everyone. 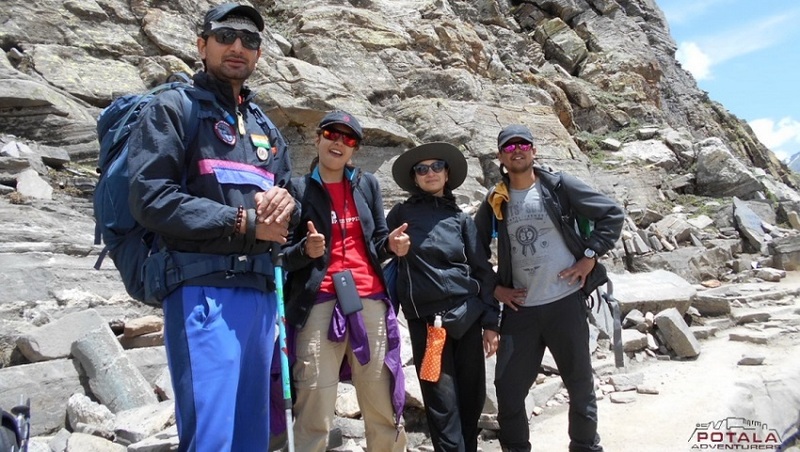 "This was my first experience on trekking (+living with nature) and it was amazingly exceptional. The guide was very friendly and helpful and the best part was the food, very diversified and good quality. The whole team was co-operative. I enjoyed the trip very much. Love from Bangladesh." Mr Krishnamurthy – Bangalore – Karnataka, 19th Sep. – 23rd Sep.